Tuesday started out like a Monday. I had to get up at 5:00 that morning. I was tired and as I was organizing my things, my coffee cup fell into my computer bag…soaking everything; notepads, pens, papers, and the computer. The door and carpet got a good dose too! Irritated and highly annoyed, I started the process of cleaning everything up. As I took out each item and wiped it down, I was aware of two conversations running in my mind. Like two dogs fighting over a bone, my brain continued to pull back and forth between the two perspectives. Then, suddenly my perspective shifted. I became the person watching the two dogs fighting over the bone; I became the witness to the dogfight in my brain. Becoming the witness to your own brain’s power struggles puts you in the driver’s seat. From the witness perspective, you become objective and less emotionally attached to a situation. I then made the powerful choice to listen to the wiser part of my brain and reframed the situation. Guess how it got reframed? I had been blocked about what to write in my blog. I quickly realized this situation gave me the perfect illustration for how to exercise better self-awareness. Self-awareness is one of the four components of emotional intelligence. When you practice becoming aware of the conversations going on in your brain, you cultivate self-awareness. This is a powerful step in learning how to influence the emotional quality of your life. It also helps you see that you are NOT your emotions. You can experience and be witness to your emotions, while at the same time retain the awareness that you are much more than just the feelings of the moment. I was not always that adept at flipping a frustrating situation so quickly. 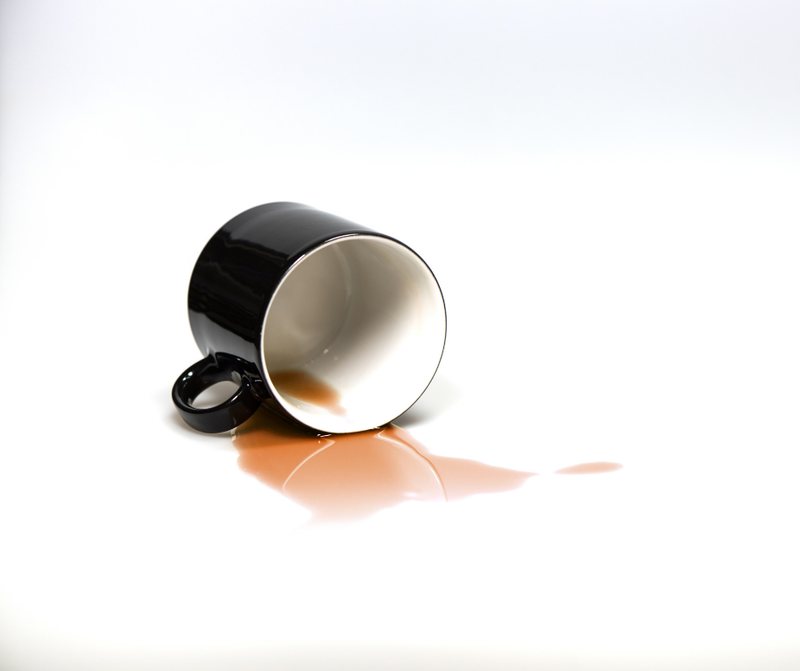 At an earlier time in my life, I would have remained irritated, allowing the ‘coffee incident’ to determine the quality of my day. When you practice improving your self-awareness, you become capable of shifting your mind and can save yourself a lot of pain and suffering. Because I chose to shift my perspective that day, I was able to quickly complete my blog and move on to other tasks. I would classify my Tuesday as a great day and the coffee in my bag as a little gem of insight!